The Canadian government admitted on Sunday, April 14 that last summer it suspended its financial assistance to Nicaragua because of human rights violations in that country, a decision that Ottawa had kept under wraps.not made public until now. 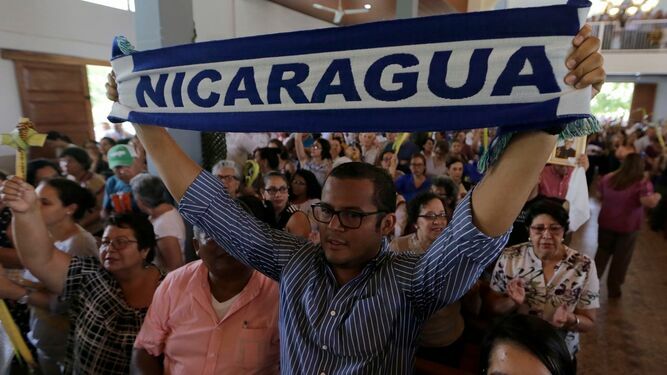 "Our government is concerned about the deterioration of the human rights situation and the economic recession in Nicaragua, and in light of those concerns, last summer we made the decision to suspend direct financial assistance to the Nicaraguan government," said Ministry of Foreign Affairs spokesperson for the , Britanny Fletcher. The spokeswoman responded to questions about information that was disclosed by the public broadcaster CBC, that alluded to a memorandum classified as "Secret" at the end of August 2018. Canada nevertheless continues to support "projects implemented by NGOs and international organizations, with an emphasis on the most vulnerable people," Fletcher said. "The repressive actions of President Ortega against his people are unacceptable, and we continue to examine all the diplomatic and political options available to us to support the Nicaraguan people," she added. Canada is one of the five main donors of bilateral aid to Nicaragua, and the total amount of this aid amounts to some 20 million Canadian dollars a year, according to the memorandum quoted by CBC.